I have been doing some augmented reality work lately and saw a cool mashup with the Alexa screen. The user can summon a dragon. On Echo Show devices you will see a picture of the dragon. 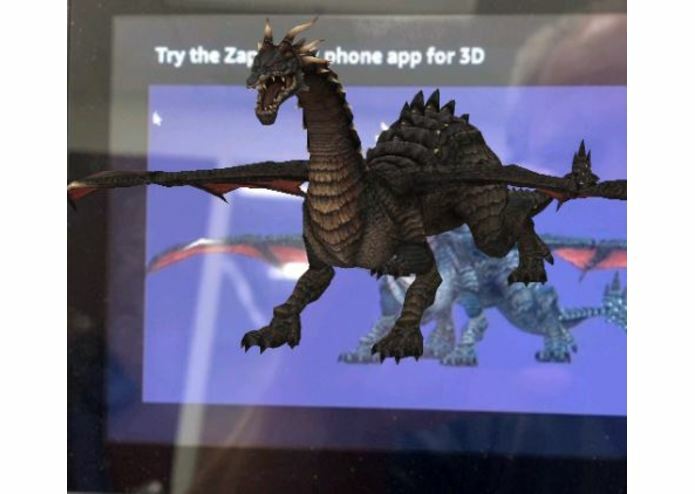 If you use the Zapwork Zappar phone app you can scan the screen to see an augmented reality version of the dragon. Learning the APL. Issues with Zappar recognizing the marker image on a semi-reflective screen. AR can work with Alexa but if an image on the Alexa is going to act as the marker image it has to be high contrast to compensate for the glare. Ability to summon other creatures. An interactive story.